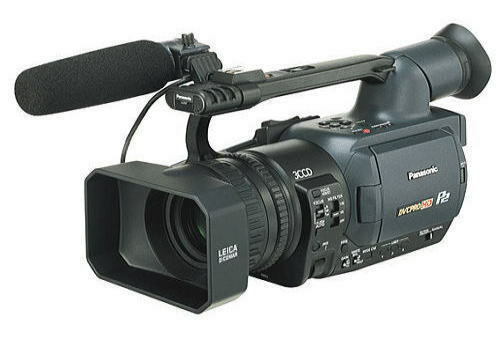 NTSC version of the Panasonic DVCPRO HD P2 camera. A breakthrough design, the HVX200 uniquely combines multiple high- and standard-definition formats, multiple recording modes, variable frame rates, and the vast benefits of solid-state memory with P2. More than HDV this camera will also shoot DVCPRO50 and SD video, only SK is possible with DV tape, HD and DVCPRO require the 8GB memory cards and other media options. 8GB to 32GB available. P2 Cards not included.